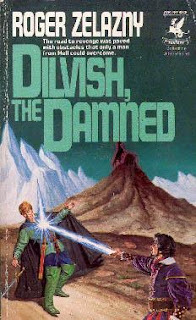 "Dilvish, the Damned" holds a place in a list of books and stories long avoided because of the people who recommended them. With this book let's call the particular person the Big D.
The Big D is the man who introduced me to the original D&D rules back in 1977 or '78. For the next six years he was part of my core gaming group until we started to lie to him and tell him we weren't playing anymore. That was because he is the worst powergamer I've ever encountered. The Big D made gaming very, very unfun. Characterization and atmosphere were extraneous. Subtley, who cares? Gaming became miserable and above all else, boring. Outside of that he's a great and fascinating guy. He was, and remains, the most voracious reader I've ever know (though he rarely reads outside of sci fi and fantasy). He would always tell me about what he had read the night before or was reading while he walked the mile and half to my house. When he'd describe a book to me, though, it was always about how cool the most powerful characters were. Big cowls and fancy wizardly skullcaps were symbols of greatness. The more absurdly godlike the protagonists were the better. Only recently, because we still remain friends, he told me he was disappointed that the Twilight books didn't end in an epic all out vampire vs. werewolves war. That Stephanie Meyer wouldn't do that really didn't make sense to him. At some point in the past I took for granted that any book the Big D suggested was going to annoy me as much as it excited him. I've only overcome that block slowly. It's taken me nearly thirty years to read the tales of Dilvish, the Damned, by Roger Zelazny. Dilvish is heir to both a Human house and an Elvish house and a heroic warrior of great martial prowess. Two centuries prior to first meeting him we are told (and later shown in a priestess' vision) how he came up against the powerful, evil sorcerer, Jelerak. Jelerak, far stronger than Dilvish knew, turned Dilvish to stone and imprisoned his soul in Hell. It is only when Portaroy, a town once saved by Dilvish, comes under a new attack is he freed to return to the mortal world. He does so with a steel horse named Black and a desire to avenge himself on Jelerak as well as to defend Portaoy again. "Dilvish, the Damned" is a 1982 fixup of all eleven Dilvish short stories. The first was published previously in Fantastic in 1965 and the last two first saw light of day in the collection. I'm half way through the book and my reactions to it are mixed. Dilvish is part of the rebirth of swords & sorcery in the mid-sixties, alongside Elric and the Lancer Conan. 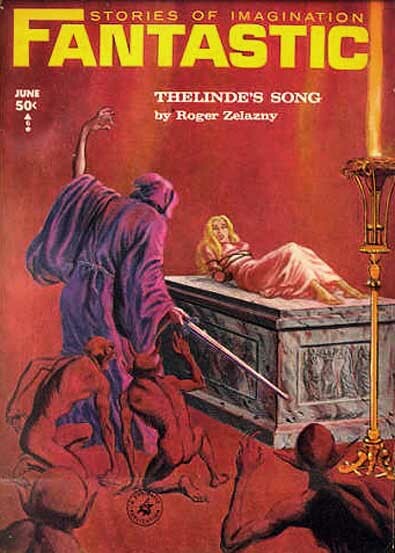 Several of Zelazny's stories were reprinted in S&S antholgies from the seventies. 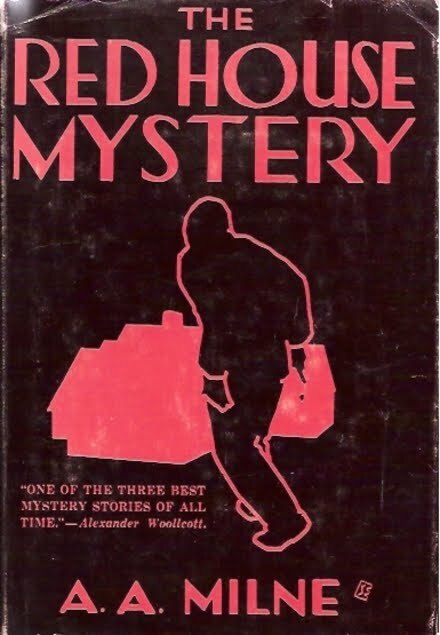 Some of the stories I've read so far are at least equal to some of Moorcock's and Leiber's and way better than those of Lin Carter and John Jakes. "Passage to Dilfar" opens the book and Dilvish is met escaping from a lost battle. He and his iron horse, Black, are the only survivors of the onslaught of Lylish, Colonel of the West's armies. Along the road to the city of Dilfar he is beset by increasingly powerful foes seeking to stop him. There are crossbowmen, stars of death and men with impenetrable armor. The other stories I've read, "Thelinde's Song", "The Bells of Shoredan", "A Knight for Merytha", "The Places of Aache" and "A City Divided" are about Dilvish's journey to raise a cursed army to fight the Colonel of the West. Along the way to and from Rahoringhast, from where he can summon the army, various evils and strange events are encountered. There are good things about these stories. Filled with evil priests, haunted castles and shrines, there's a strong Clark Ashton Smith vibe to them. The episodic nature of the book also gives its it a very dreamlike quality - things sort of just happen, are dealt with and then other things happen. The randomness of occurrences makes guessing what will happen next impossible. The reader can assume the Colonel of the West will be faced head-on and a showdown with Jelerak is forthcoming but what Dilvish will have to fight along the way is anybody's guess. Dilvish's adventures are set in what I've always thought of as ur-fantasy land. It's the type of world created by writers like E.R. Eddison and Lord Dunsany before Tolkien and Howard created the templates that are still used (excessively) today. 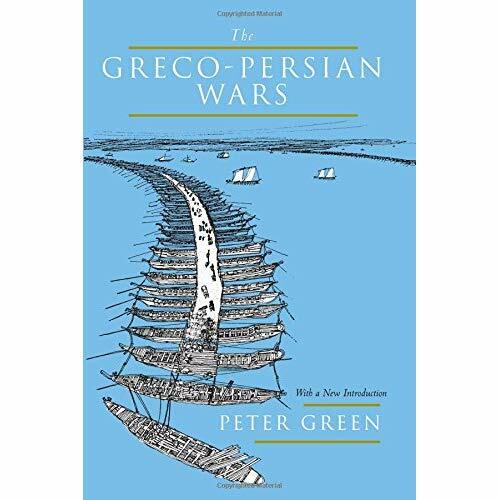 The names of people and places don't echo historical ones (think Gorice and Thek) and the roots of the stories lie closer to the hazy nature of fairy tales and dreams than the carefully constructed and overly elaborate plots of modern fantasy tomes. The universe of Dilvish is a far vaguer, less concrete place than Middle-Earth let alone ours. Anything can happen and as long as the author has another idea it does. Unfortunately, not just looking to the character and storytelling attitudes of the past, Zelazny also looked to the prose styles. The Dilvish stories are all written in a pseudo-archaic style. While not as clotted as William Hope Hodgson's in "The Nightland", or William Morris' in anything, it's clearly intent onremind the reader of them (the sequel to this book, "The Changing Land" mentions Hodgson on the dedication page). Zelazny seems to have been striving to make the stories read like legendary tales not realistic fiction. Unfortunately it creates an emotional barrier between the reader and the stories. Unless a writer has the skill of Smith or Jack Vance the distancing effect is difficult to overcome and Zelazny doesn't quite make it. Typical of too much of the writing is this from "Passage to Dilfar": "This was Dilvish, called the Damned, riding alone in the hills above Dilfar, bearing his message to that city. And though he rode the horse of steel, called Black, still did he not fear an encounter with Lance of the Invincible Armor before he delivered his message." There are some striking images such as silver eyes containing "the hellspecks of starstuff" but there's too much writing like the former passage. The reader also doesn't get much insight into the mind of Dilvish or his opponents. He's a goodhearted hero fighting strange foes and weird magics but it doesn't go much further than that. I want to love Dilvish and his adventures and right now I don't. But I do like them and I'll finish them. The stories definitely have been getting better as they progress. The banter between Dilvish and Black in "A Knight for Meryth" and Dilvish and Rogish in "The Places of Aache" are mordantly funny enough to belong alongside Smith and Vance. A copy can be picked up for a penny on Amazon so you might as well get it. Despite my issues with Zelazny's style these stories have more color and clever ideas than most of the doorstoppers that weighing down the fantasy shelves contain in all their endless pages. I've recently put out an ebook of my writing, called 'The New Death and others'. 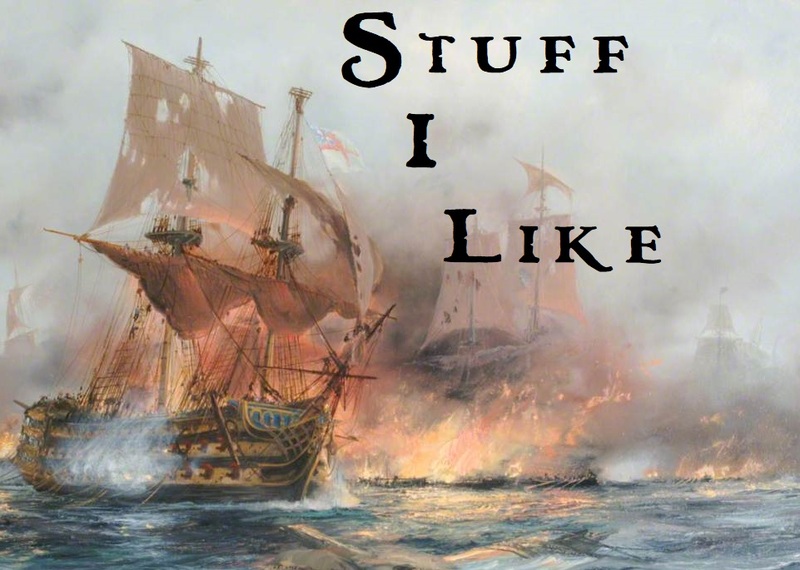 It's mostly short stories, with some obvious gamer-interest material. For example I have a story inspired by OD&D elves, as well as poems which retell Robert E Howard's King Kull story 'The Mirrors of Tuzun Thune' and HP Lovecraft's 'Under the Pyramids'. If so, please let me know your email, and what file format is easiest for you, and I'll send you a free copy. You can email me (news@apolitical.info) or reply to this thread. I'll also link to your review from my blog. Sorry you couldn't find an e-mail - I'll have to fix that. While I appreciate the opportunity I'll have to say no, at least for now. My goal for this site right now is to review for the foreseeable future a list of things I've pretty much prepped out in my head. That last book in the picture caught my eye. Striking is all I can say about it.